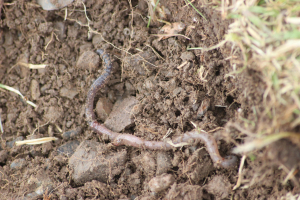 Observation - Black-headed worm (Aporrectodea longa) - UK and Ireland. Description: This is the best suggestion I can come up with using the Opal guide. EOL maps, however, suggest that the Scottish Borders may be outwith its range. Can anyone help, please? This is the best suggestion I can come up with using the Opal guide. EOL maps, however, suggest that the Scottish Borders may be outwith its range. Can anyone help, please?